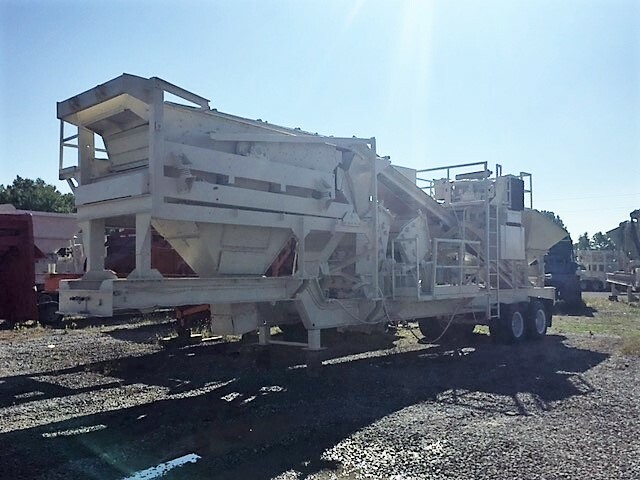 Used 4′ x 12′ (2d) incline screen w/ electric motor. 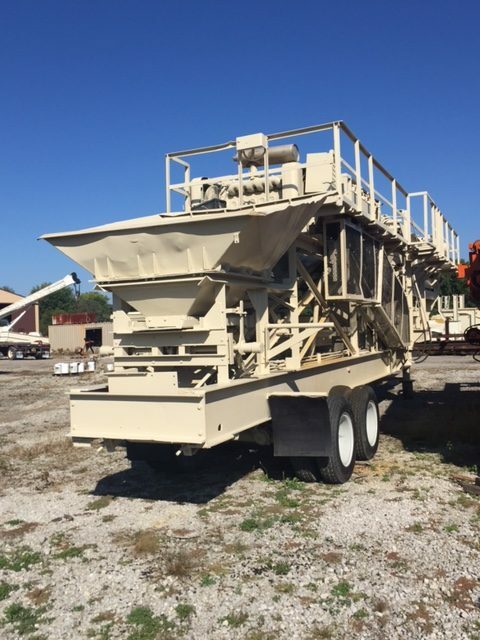 Screen is designed to lower for transport. 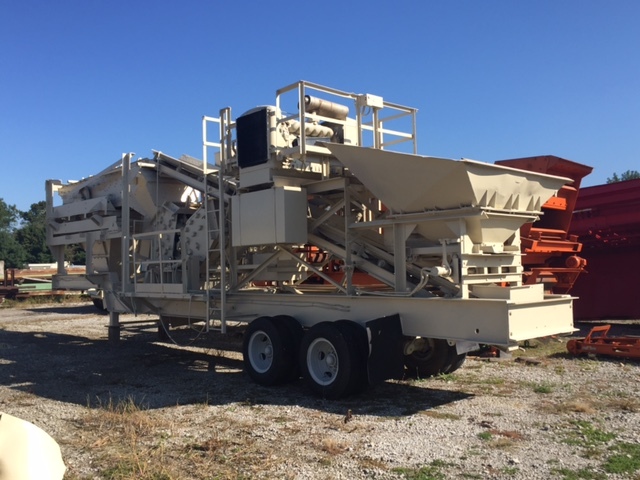 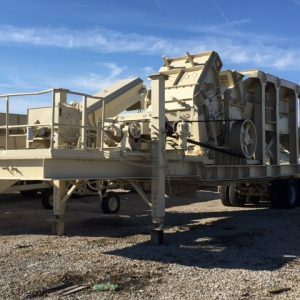 Crushing plant is fed by rear mounted 8’x8′ feed hopper w/ reciprocating plate feeder and 24″ feed conveyor. 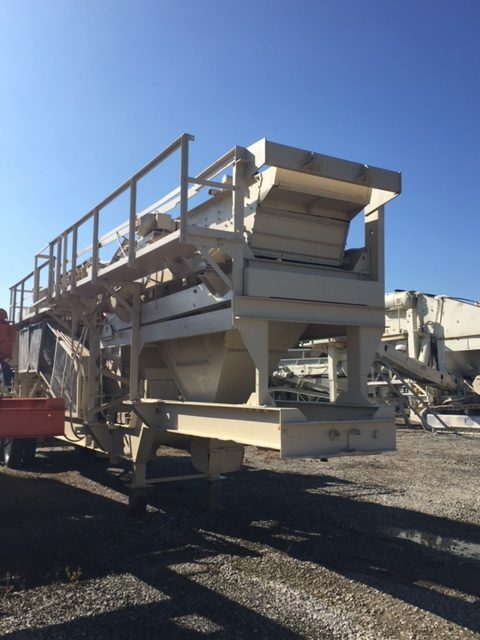 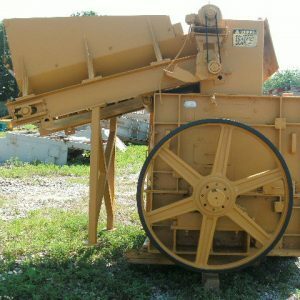 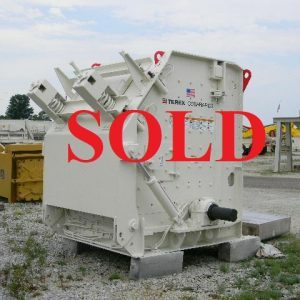 Under-crusher side discharge conveyor transports material to 24″ closed-circuit conveyor. 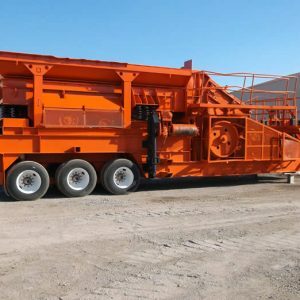 All mounted on a pit portable tandem axle chassis w/ 5th wheel pin.